This very affordable Timber Shores parcel is priced well below assessed value. This is a premium building site that is fully wooded in this lakeside community. Build the home of your dreams here and enjoy all the water sports fun that the 4th largest Wisconsin inland lake has to offer. 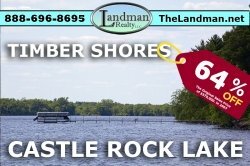 Comes with a boat slip on beautiful Castle Rock Lake ! Amenities include a private sand beach swimming pond, pavilion, 9 miles of hiking trails that connect to public trails. Located close to a boat launch, an 18 hole championship golf course, ATV Routes, fine dining & more! Owner may finance! 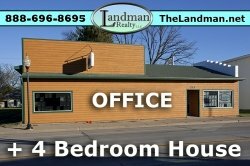 Call Listing Agent, Billy Tyrcha on his cell phone at 608-474-2109 or call the office at 608-339-8030, but don't wait! Call Now!